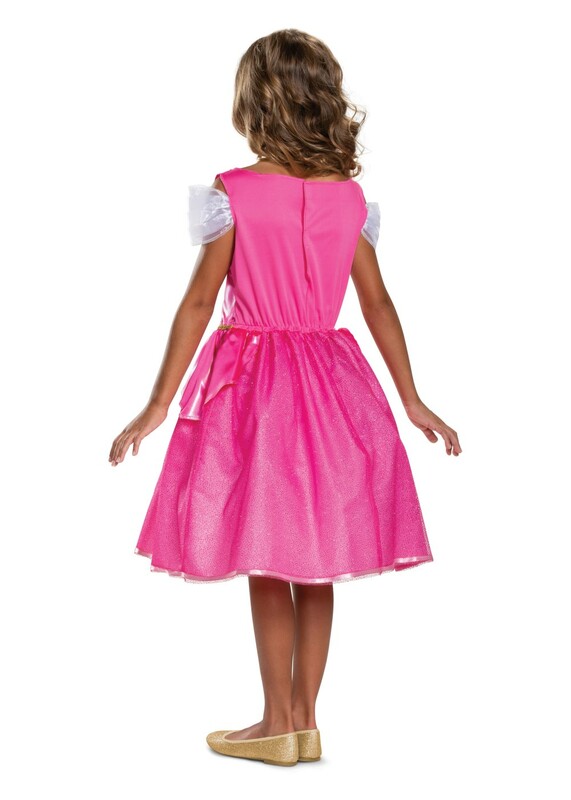 The Aurora Classic Costume for girls comes with a dress that is designed to represent Aurora's look from Sleeping Beauty. The costume will not be including any shoes or other accessories with your purchase. 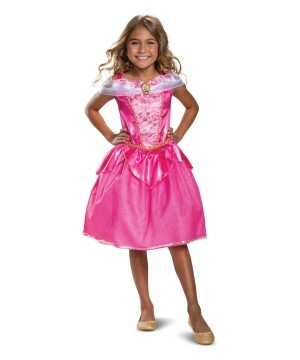 The Aurora Classic costume for girls is currently available in these girl's sizes: a Small (4-6X) and a Medium (7-8). Aurora, the famous Sleeping Beauty, is the daughter of Queen Stefan and Queen Leah and at her christening, was cursed to die by the Maleficent, an evil fairy. Though due to the help of three fairies, she was put into a deep sleep and can only be awakened by true love's kiss. 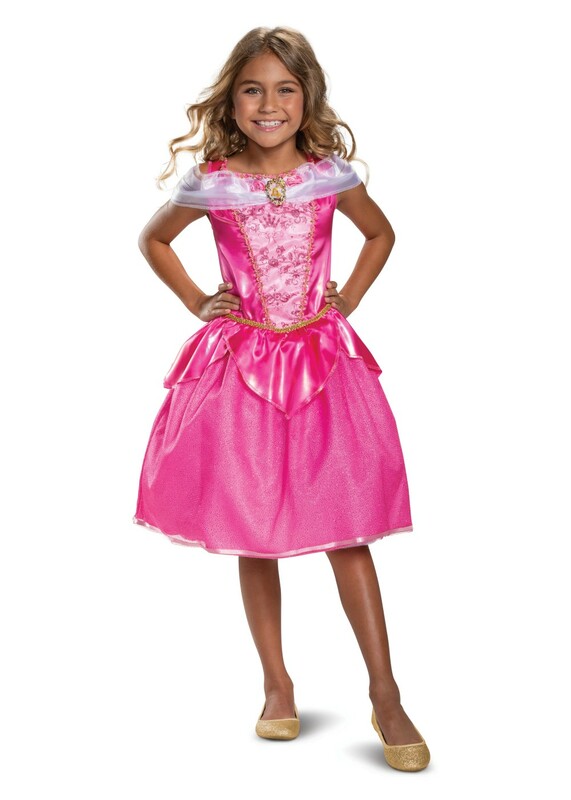 Your daughter can become the classic princess with the purchased of the Aurora Classic costume for girls! Review(s) for " Aurora Classic Girls Costume"